make it perfect: .Giveaway Day!. THIS GIVEAWAY IS NOW CLOSED - THANKYOU FOR PARTICIPATING!! Welcome readers old and new to my Sew, Mama, Sew Giveaway Day post! If you are new to my blog, I am happy to have you here! The Make It Perfect blog is where I share the craftiness going on in my life - mixed with my favourite recipes, showcasing some of the Cool Shops out there and a few personal bits and pieces. A $20 GIFT VOUCHER to spend on CITRUS POP products! To enter, simply leave a comment on this post. For extra entries, feel free to become a follower of my blog or "like" my Facebook page. Easy! Yay! I love your patterns! Hi, Toni! Thanks for joining in the giveaway - and such wonderful prizes, too! And I now "Like" your Facebook page!! I love your patterns and pretty flowers. Great giveaway! Hi Toni...i am a recent new fan of yours and already have your kaftan and wrap skirt patterns waiting to be made...excited much!!! I already follow your blog and FB. Already a liker, love to be a winner! A fan of your work and a purchaser of your book... not for me though and I haven't been trusted with a loan of it yet! Spotted a few things on my read through your post. Great giveaway, tops! I love your pattern style! I love just love all your work!! Thanks for being super generous. Oh 4 patterns!! That would be brilliant! what a great giveaway! I love your patterns. I already like your FB page (which is where I saw this post) but now I'm a blog follower as well. Love reading your blog and seeing all your crafty patterns. Really love the new citrus pop range too! Oh wow! A give away! I have got a couple of your patterns and they are just gorgeous! Such insipration on your blog too! Oh Wow! I've never won a giveaway before, but I would really love to win this one! Thanks so much - your work is fabulous! I'd love to try out more of your patterns. I love the uptown girl jacket. What a lovely give away! I too an a big fan! Unbelievable! I love all of your patterns!!! YEAH!!! I love your patterns, I have a few already, but am lusting over more of them. I'm already a facebook "liker", but I'd do anything to win this giveaway. LOL! I'm a newly, self-taught sewer, but I can't follow patterns or sew for myself (I make up my own designs for my girls as I go along). A friend suggested the Make it Perfect range, so I'm giving it a go with a simple skirt. and, although I am pretty bad at Facebook, I now 'like' make it perfect! Love your patterns. Your uptown girl coat makes me wish my 18 year old were little again. Following you on Pinterest. WOW...how do you fit it all in!!! Love your creativity and LOVE the upsized patterns in your gorgeous kids range!! Such a great giveaway! Thank you. Love the option for some boy patterns. I'd LOVE to win a handful of your patterns. Fabulous giveaway! oooo - 4 patterns! Yay! Oh my goodness, I would love to win a beautiful new pattern! Thank you for the giveaway. I just found your blog about a 2 months ago and I love seeing your sewing and crafty projects. I'd love to win some patterns.. I have A LOT of new fabric I've been buying lately. Great patterns and I always crave the citrus pop goodies! Great patterns! Would love to win some. Your stuff is just so happy, I love it! I have a few favourite I'm yet to buy! Love your blog, thanks for the giveaway! I have 3 of your patterns and just love how easy they come together. Thanks for this generous giveaway. Oh and I already follow you on my google reader. Thanks for having a giveaway . Love your patterns and book. I would love to win sooooo much. I am new to sewing and would love to give your patterns a go. Thanks for the chance! I'm already a follower, and I just liked your fb page. 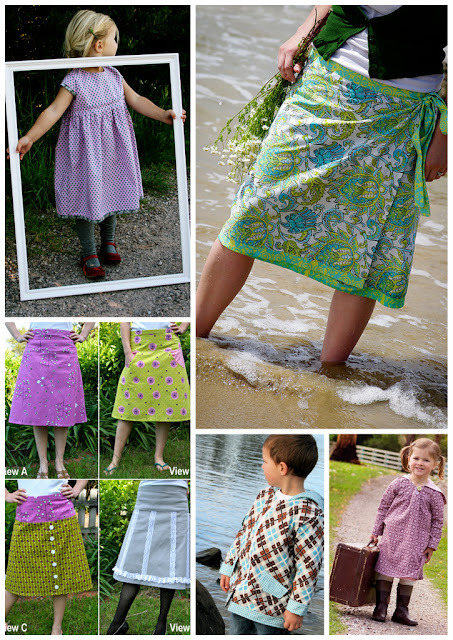 I'm hoping for skirt patterns for myself and those adorable patterns for my little girl! Oh please I'd love to enter! I only recently discovered your blog but became a follower pre-giveaway! Wow you are so generous! I am on your facebook as Debbie Lauzon. Yippee - I am so excited. I would love to have some new sewing patterns. Ditto!! Love your work. Bring on some more boys patterns!!! I sewed many of your patterns already, and I am looking forward to your new boy pants pattern, it looks like so much fun! Thank you! Ohh I'd love the chance to have a few of your patterns....simply gorgeous!!! I love to read your blog! Thanks for all the great posts! I love skirts and yours look so pretty! Please pick me! Wowee I love your patterns and would love to win some... thanks for the giveaway. I'm joining in the giveaway on my blog too - so much fun! I love your patterns - especially the Uptown Girl jacket! I own a copy of "Make It Perfect" and have two of your patterns. I'd LOVE to win more!!! I'm already a 'liker' of your Facebook page. Yeah. Would love one of your patterns, let alone four. I feel i'm not a good enough sewer yet to actually buy patterns, or other than cheap cotton, but i would love to try! OMG, soOo excited to try your patterns! Wow! What an awesome giveaway. I would love to win. What a fab giveaway. I love the look of your patterns! New to your blog, LOVE all of your patterns! I love Make it Perfect! And Citrus Pop hair pins are absolutely adorable. Love your patterns, jewellry and blog ... Yay for giveaways! I love your patterns and all your bright, colorful jewelry! thanks for the giveaway. i've been coveting your patterns for awhile now! would love to win some! Lovely! You have great patterns! Thanks so much! How exciting!! I love your patterns, just got your uptown girl pattern, Now I need to sew it! Oh I don't want to miss this chance - really like your patterns! And of course I like your facebook page! I adore your patterns, so what a great giveaway! I love your patterns so much! I keep needing to by the jacket one and forgetting so this would be perfect! I love all these patterns! Pick me pick me!!!!! Such gorgeous jewellery. I would love to join in with your ace giveaway. Ciao!!! Siamo un po lontane...ma non si sa mai, complimenti i tuoi lavori sono bellissimi, è già da un po che sei tra le mie preferite,vincere sarebbe bellissimo!!!!!! 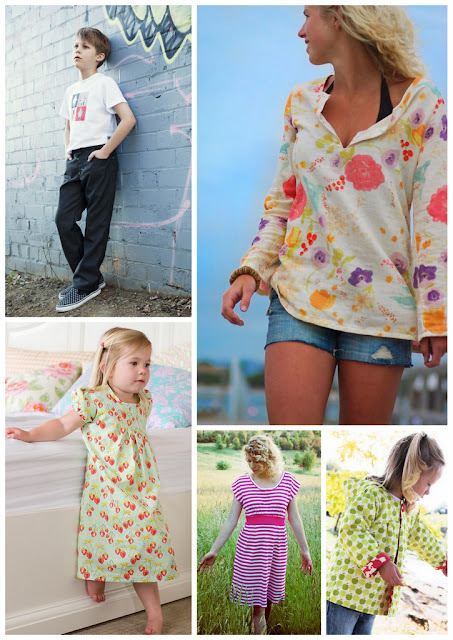 I would love to win some of these great patterns...and a shop credt? Wow! Love you blog and use lots of your patterns! Thank you! I'm already a follower of your blog, it's great! I love your patterns - especially your kaftan! I love your patterns, what a great giveaway! Though it would be hard to just pick four. I love your patterns! Thanks for the chance at winning a couple. And I've been following you for a while now, through Newsfire, so it may not show up in your results... but I'm definitely here. Ooh, I have some of your patterns and would LOVE some more, thank you!! Great giveaway! Some new sewing patterns would be fabulous - now I just need someone to give away "TIME". Having trouble finding enough of that lately!!! it would be fantastic to win your patterns. i won´t sleep until the 25th. I love your work!!! Thanks for the giveaway and the chance to win! great giveaway, thanks for the oppertunity to win this!! now following via facebook aswell! Thanks for the give away - love your patterns. My favorite pattern (so far - there are several more I want) is your wrap skirt. It is so simply but turns out great every time! I've made 3 so far! Awesome giveaway! 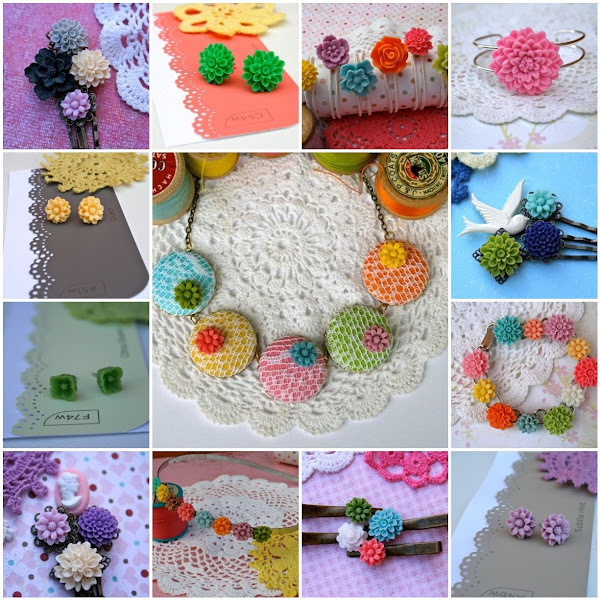 Am already a follower onFB and your blog and LOVE your patterns. Pick me, pick me! What an awesome giveaway!!! I'd love to have more of your patterns! I just made the wrap around skirt (made it reversible) and it's fun! Now if you could find someone in the US to sell your pattern book that'd be great. I looked at buying it online from Aus and shipping was almost as much as the book! Happy sewing! What an awesome prize, your patterns are amazing! Wow, this is quite the giveaway! What a great giveaway! Thanks Toni! Lovely patterns and a great giveaway! Fabulous giveaway! You have such lovely things, both patterns & Citrus Pop! I would love some of your patterns and your flowers. Awesome giveaway!!!!!!!!!! Ok! Well I've already made 9 pairs of your slumber party pj's (big, little and tiny!!) from 3 different patterns, I've made one delicious Up town girl jacket so I think I would choose - downtown boy, wrap skirt, kaftan and maybe . . . Hmmm I just can't decide on the fourth one!! Too many to chose from!! I love your patterns! I would love to add to my collection! I have been a follower for sometime, I have you book too. I already "Like" your facebook page. I don't know how to follow your blog, but I do have an RSS feed straight to my email whenever you make a new post. Is that the same thing? I keep looking at your Shearwater Kaftan, if I was lucky enough to win that would be the first pattern I'd pick. I love your patterns and have made quite a few of them for both my kids. I am also a facebook "liker"
My husband brought me some of your patterns for mothers day this year. Now I just need the time to actually sew them! How exciting!! I love your skirt! Thanks for the chance. Love your patterns... Just need more hours in the day to make them. And I am a facebook liker. I'm an old fan....Facebook, Flickr and Blog. Love your work Toni!